In the end, you get the best rate! Sign permits and installation should be considered before placing your order with Signs By Web. While we do not provide permitting or installation services, we can assist with locating an installer in your area and prepare detailed sign drawings for your landlord or permit approval. 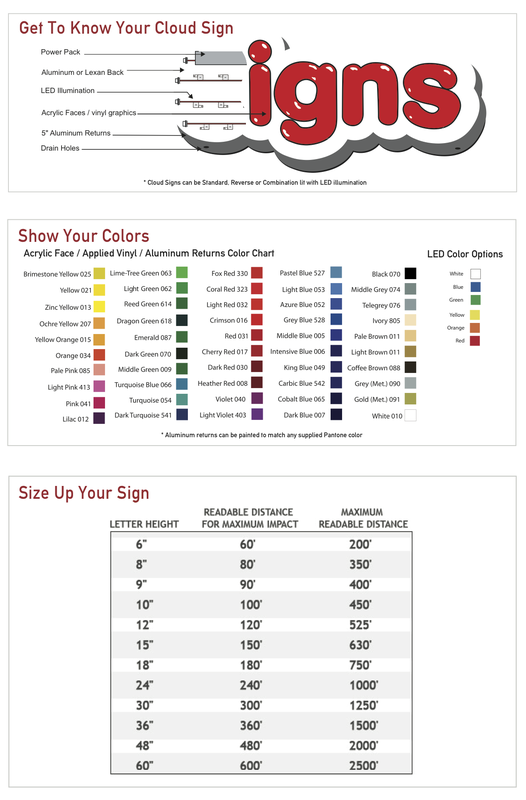 Many factors are considered when quoting cloud signs, but it is primarily the size of the sign and the detail of graphics.